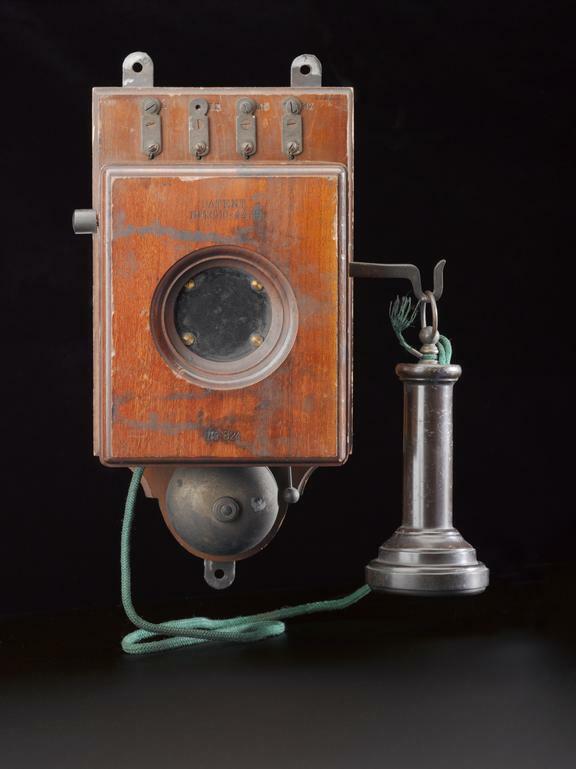 Wall telephone with mica-diaphragm transmitter and built-in bell, unknown maker, probably British, 1880-1920. The majority of early telephones were wall mounted, with a transmitter connected by a cord. 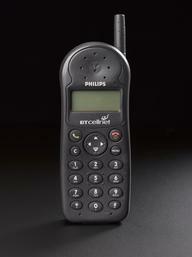 A separate battery was needed to power the phone, and sometimes the bell set was also housed separately.